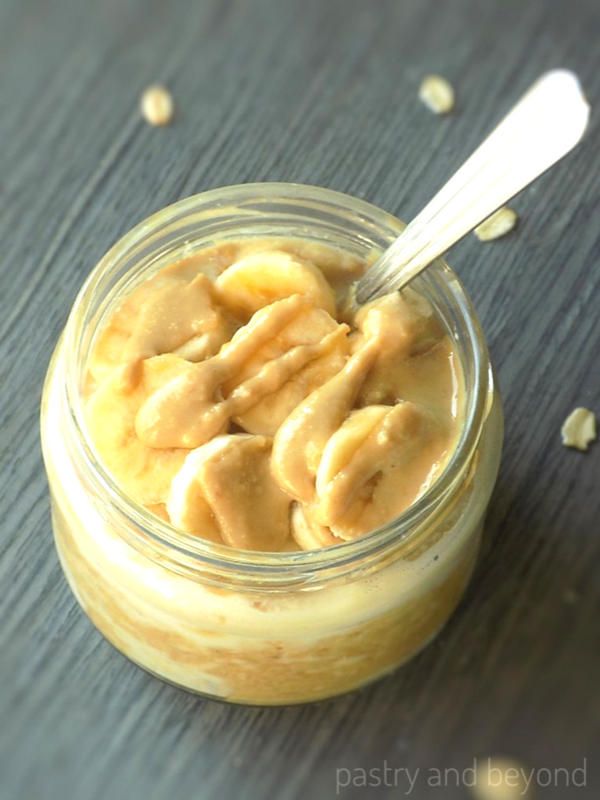 You can prepare these peanut butter banana overnight oats in only 5 minutes. They are nutritious and they will keep you full for a long time! Although I don’t have gluten intolerance, I try to reduce the gluten intake at breakfast as I feel better. 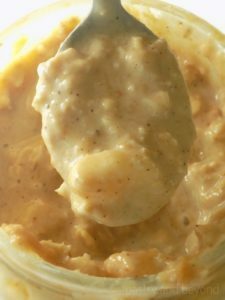 I love eating gluten free overnight oats which are very filling and so easy to make. This recipe is perfect for anytime but especially for busy days. It is a simple recipe but very nutritious. 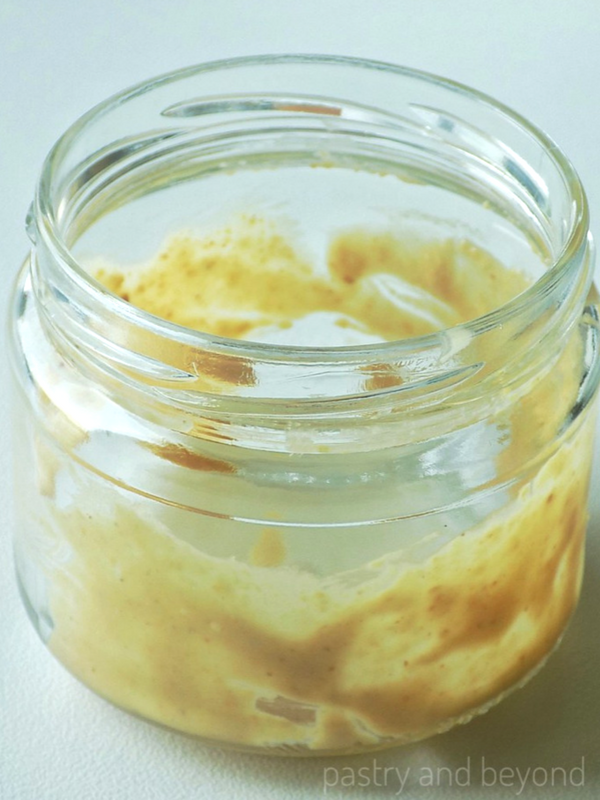 You can mix the ingredients in a jar and take the jar to work. No need to prepare breakfast in the morning. Just mix the ingredients and your breakfast will be ready for the morning. Usually, I divide the serving into 2 small jars and eat the second half during the day or the other day. 1 small serving is also very filling. 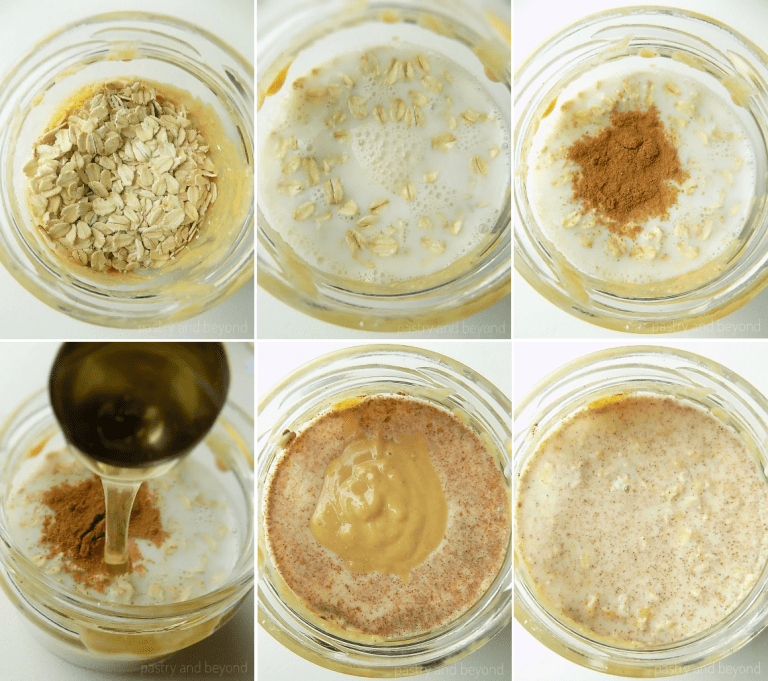 There are so many reasons why we should eat oatmeal. You can read in detail at HealthLine about the benefits of oatmeal. Actually, there are different ratios. If you are using cups it is usually 1:1 or 1:2 oats to milk. or 2/3 cups of milk for a lighter consistency. I never use 1:2 ratio is too runny for me. Then I place the oats into a jar, add the milk, cinnamon and honey. I mix with a spoon. Later, I add the peanut butter and give a stir again. I close the lid and keep in the refrigerator. Almost after 3-4 hours, it will be ready. If you want to eat during the day as a healthy dessert alternative, you can make it in the morning and eat after 3-4 hours. 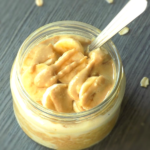 When ready to eat, I top the oats with sliced bananas and additional peanut butter. You can see below how thick 1:1 ratio. If you find it thick, you can use 2/3 cups of milk for 1/2 cup oats for a lighter consistency. 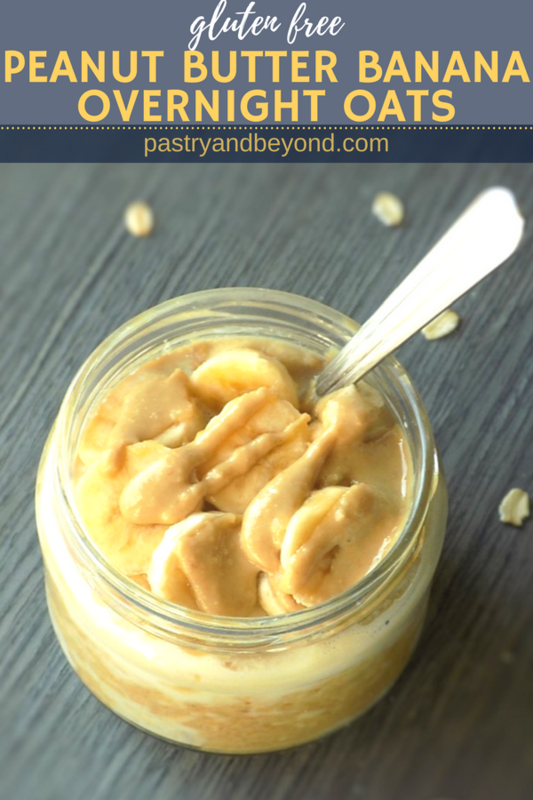 You will love these Peanut Butter Banana Overnight Oats that are nutritious, very filling and so easy to make! 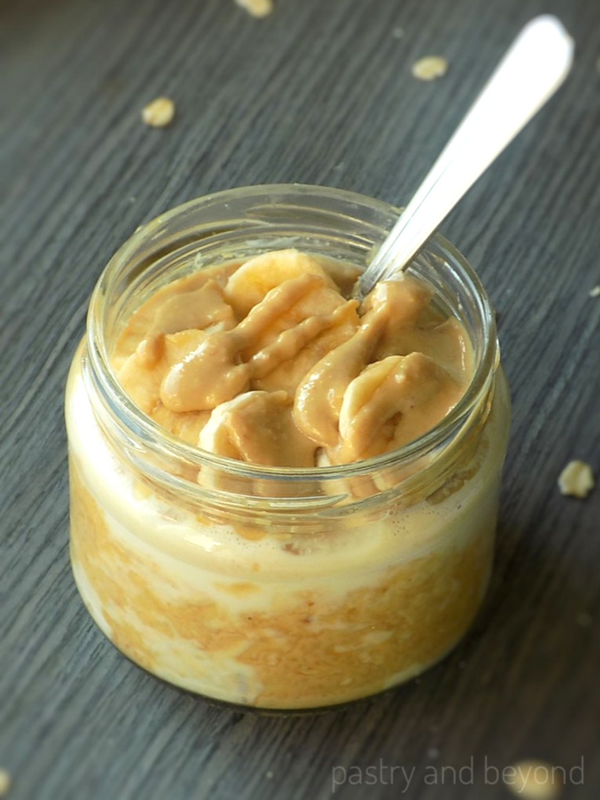 If you want to give a swirl effect: take a little spatula or a knife and cover the sides of the jar with peanut butter. 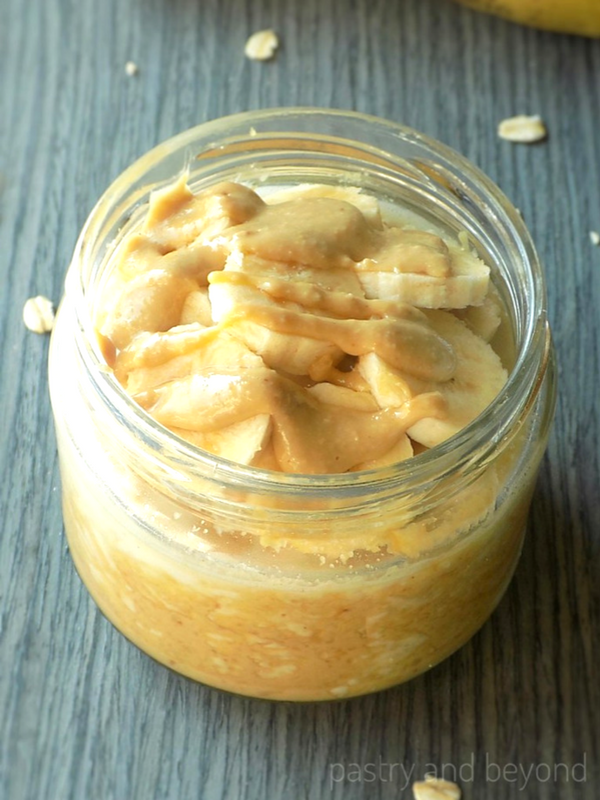 *If you don't have natural peanut butter that is made of peanuts only, you can click here for how to make homemade peanut butter.